Keoma Jacobs was born in a big family of seven children in the south of the unimaginable flat and low Netherlands in the winter of 1986. After several years of cycling, riding, hiking and dreaming of mountains he got into rock climbing when he met his first climbing friend over a good Belgium beer at a local bar. It was the summer of 2006. Soon after he got into climbing he discovered bouldering and the forest of Fontainebleau merely 500 kilometers from home. This is where he builds up his boulder experience every year and wore out different guidebooks. Through his studies in tourism management and his inspiring 10.000 k cycle trip from the Netherlands to the border of Mauritania and back, he fell more in love with Morocco. His time at the University of Amsterdam, studying the histories of Arabic and Islamic cultures, gave him an even more in depth knowledge into the Moroccan way of life. When he met the enthusiastic Babs van Buuren in the local climbing gym of The Hague he started thinking about combining his love for bouldering, Morocco and pioneering. Together they founded IMIK’SIMIK (step by step in local language, Darija) in November 2013 and explored Oukaimeden (OUK) for the first time. In Oukaimeden Keoma and Babs saw that the vague rumors about the boulder potential high up in the Atlas mountains was real. The next trip to OUK was together with an international group of climbers from the US, England, Scotland and the Netherlands. Together with the Jay & Jeremy from Climb Morocco he mades plans to publish a rakkup Oukaimeden guidebook. 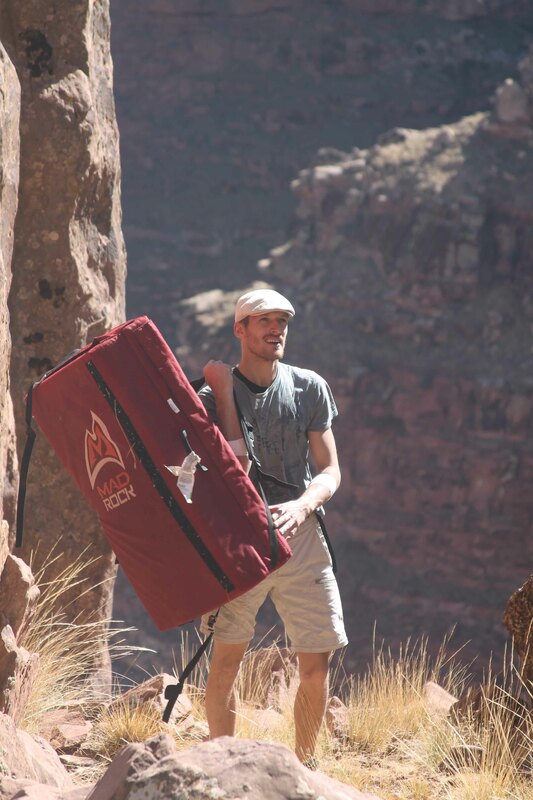 Keoma is currently living in Burundi (the Heart of Africa), finishing his masters in Migration studies and he explores the bouldering potential in Oukaimeden Morocco several times a year. Buy Keoma’s Oukaimeden Bouldering Guidebook here and pay less than in our iPhone and Android rakkup app. 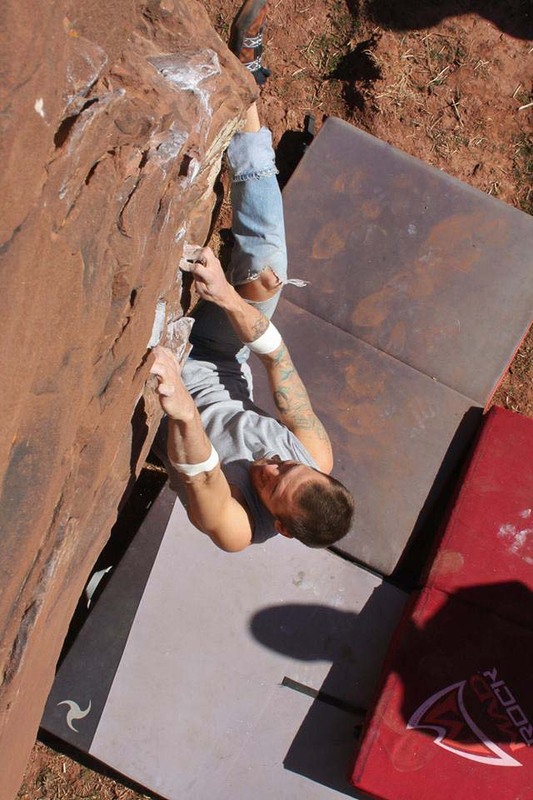 Learn why Oukaimeden bouldering is so awesome here. Check out Keoma’s Imiksimik boulder development project here.